Who thought a two-tone deep diver could look good? But is it relevant? 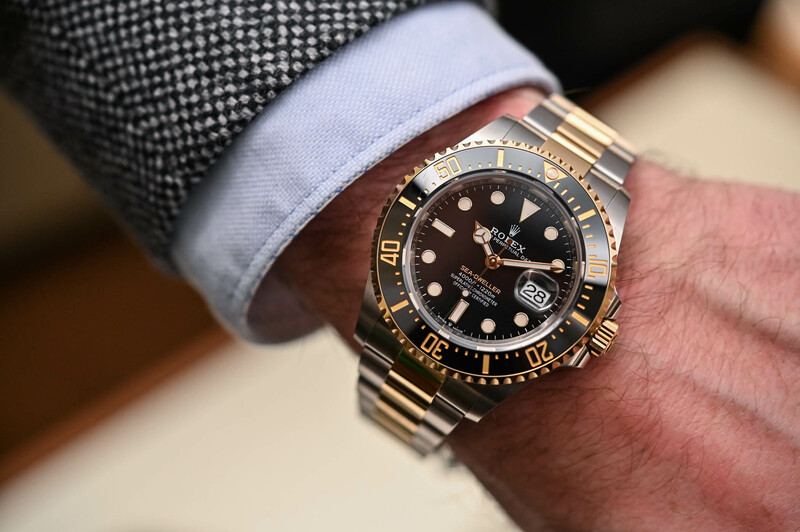 As we reported right after the opening of Baselworld 2019, Rolex has introduced a two-tone, Yellow Rolesor version of the Sea-Dweller 43mm, under the reference 126603. What is it? Well, in short, a controversial version of an already controversial watch. And while the point of the following article isn’t to review the watch, or to explain every single detail (it remains, after all, just a different material combination), I’m going to give you my (very) personal take on this watch. What is the point of a two-tone, luxurious, rather provocative version of a deep dive watch? Objectively, nothing. Is it relevant as a product? Not at all. 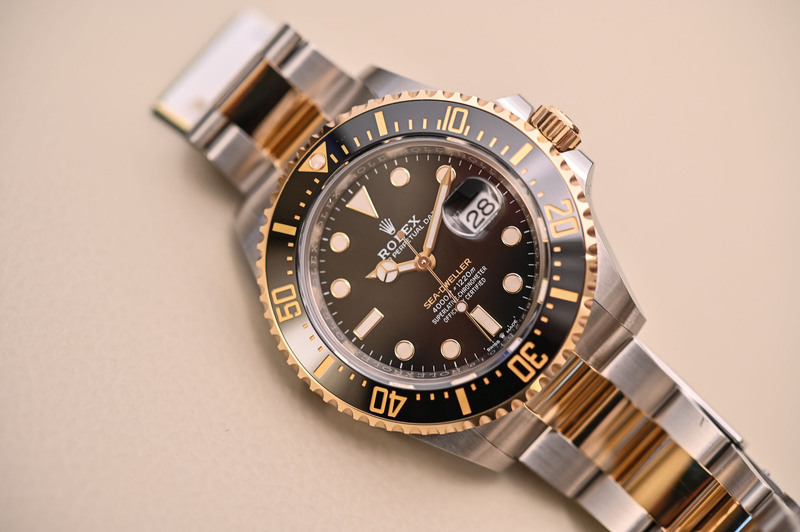 Who needs some gold links and a gold bezel on a watch that is meant to be an instrument measuring time at more than one kilometer beneath the waves? No one. But… (there has to be a “but”) who really needs a watch to dive with in this day and age? Well, again, no one. We have diving computers for that. So, if such a deep dive, automatic, luxurious watch isn’t relevant in steel, why would it be relevant in two-tone steel and gold? That’s where the concept of luxury enters the game. Following this line of thought, no one objectively needs a 720bhp Ferrari or a 10k Euros Hermès bag. Yet, they sell (a lot). Relevance is the opposite of luxury, in a way. I’m sure some will disagree with me on that point. Certainly, a watch such as the Sea-Dweller should be (and is) relevant as an instrument and can perform superbly underwater. However, it isn’t its first function in today’s world. Personally, I’m a true dive watch lover. I own several pieces but wear them mostly as normal everyday watches, behind my keyboard or for business meetings. 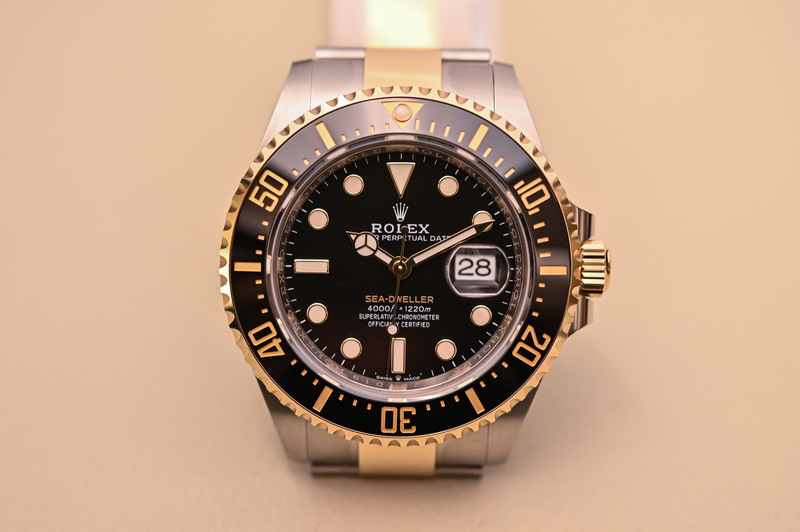 And, in all fairness, I was skeptical when the Rolex Sea-Dweller Rolesor 126603 was unveiled at Baselworld 2019. I immediately questioned the very sense of this watch – and I’m sure many of you have too. Yet, once you start to think about how 99% of the steel Sea-Dwellers are worn, as statement pieces or as simple objects of pleasure for someone who wants to sport a robust and technical dive watch, I’m quite confident in saying that this Sea-Dweller Rolesor 126603 actually makes a lot of sense as a commercial product. For a simple reason: why not? Now comes the question of its look. 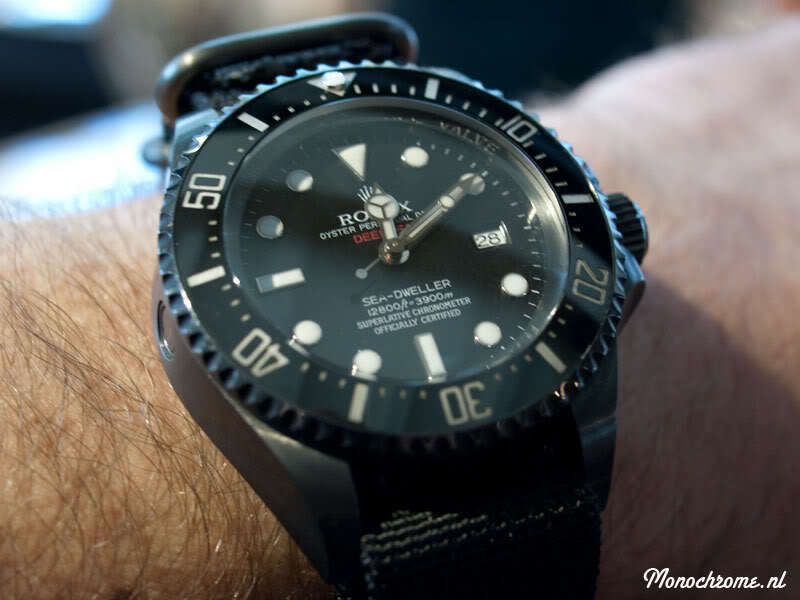 As I mentioned, I love dive watches and I love to wear them without having to worry about them and steel is the obvious option -coupled with the fact that I’m not a gold watch guy. However, strapping the 126603 on the wrist was (I hate to say it) surprisingly pleasant. This watch, at least to me, looks very cool. In fact, I dare say, it is even more attractive than the steel version. 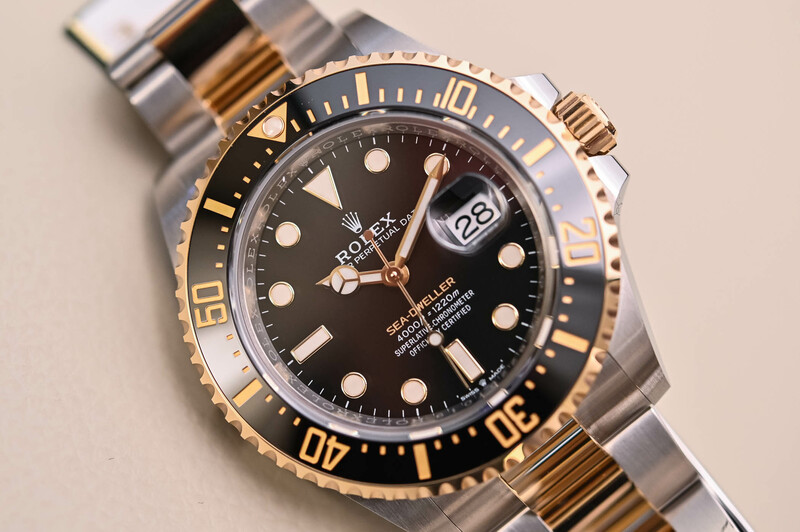 Who thought a two-tone deep dive watch could look that good?… Well, I have to admit that the Rolex Sea-Dweller 43mm Rolesor 126603 pulls it off in style. And you’re more than allowed to disagree with me! Feel free to comment and give your take on this watch! Can you imagine diving or sharing rough rides with this showcase puppy? I can’t. For my taste gold is best left for electronic contacts, it just doesn’t look good. Black and yellow is not a great combination. It would work muck better in plain steel. Not a fan of this 2 tone piece. 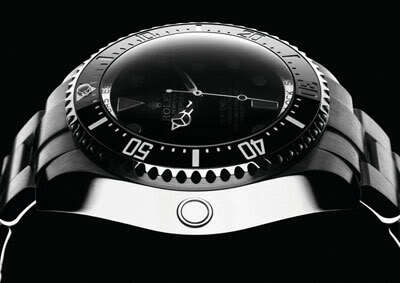 For a Submariner it does pass but not a professional diving watch. What’s next, a 2 tone deep sea? Then later a full gold version? 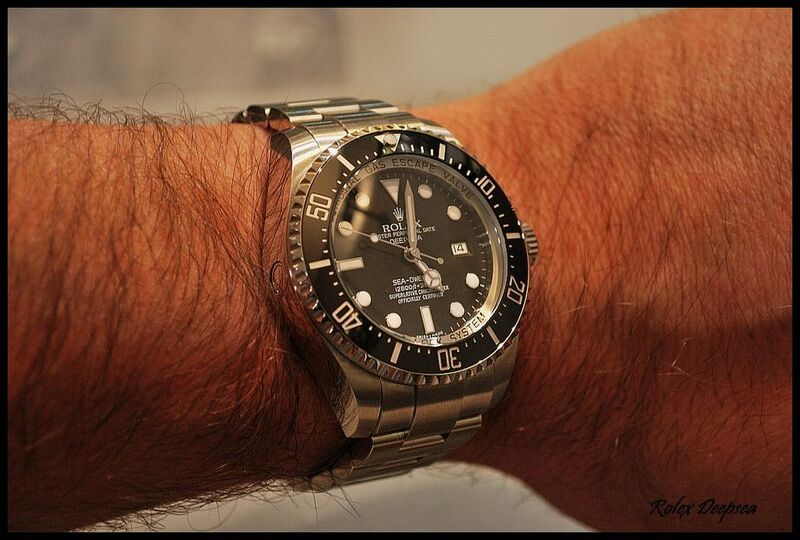 The sea dweller has always been a full steel piece. Why didn’t they keep it this way instead? It’s gorgeous. I’m not a gold watch guy either, especially averse to two tone, and have a 2006 16600 Sea Dweller that I love for all the right reasons. It’s a little status, but I collect, so of course I want a Rolex, and mine happens to be one of my personal grail watches. Who wouldn’t want a diver rated for 4,000 feet? Size, design, no cyclops, and quality matter. One watch for life, etc. 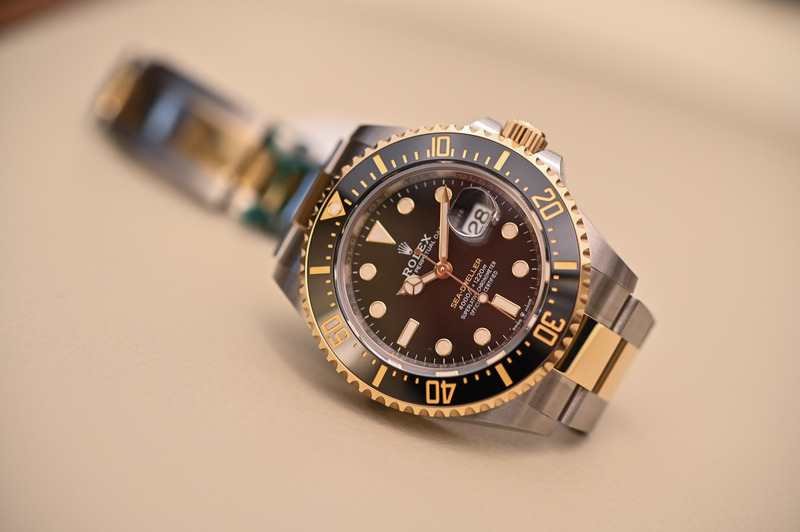 This isn’t the first gold or two tone diver to be sold. 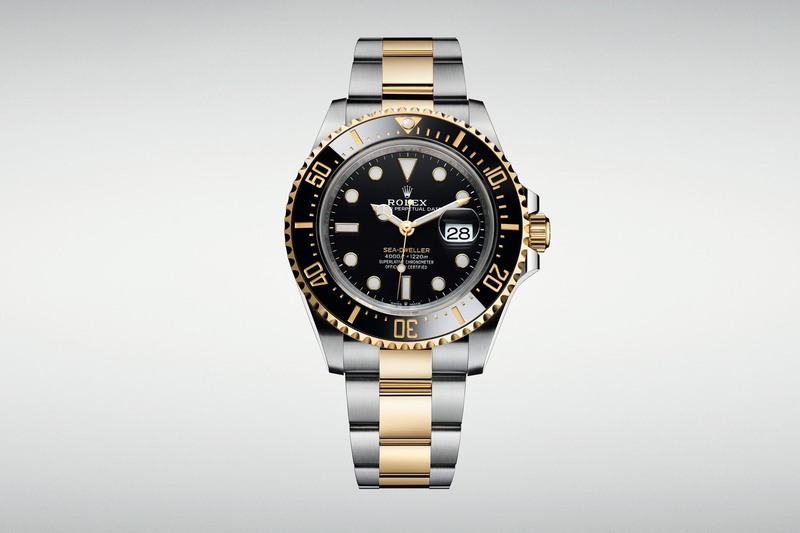 The all steel Sea Dweller still exists, so why not? BMW has done art cars for years, shoe companies do designer collaborations and charge way more. That’s where the market is, this week anyway. Elitism, exclusivity, ridonculous pricing for trend-oid goods that may or may not age well but will look amazing on Instagram. We’ve all seen the rainbow semi-precious stone encrusted Daytona. Just saying. 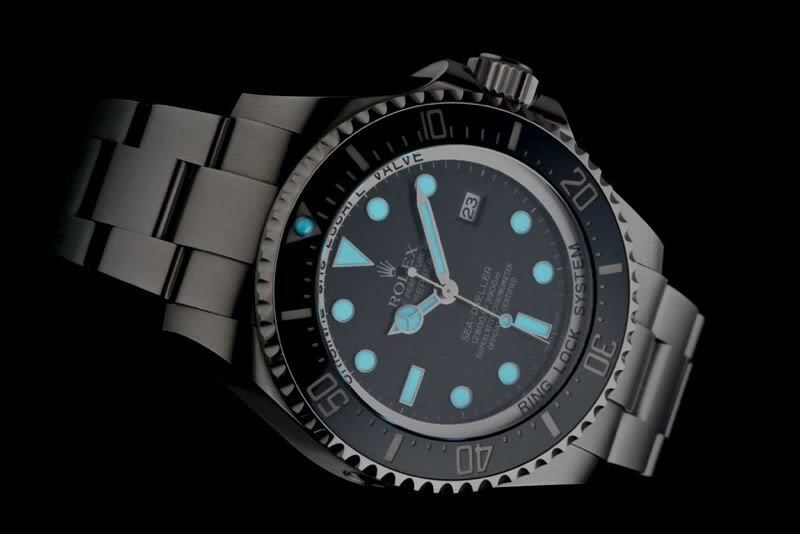 My only thought on this spiffed up Sea Dweller is that it was bound to happen, and Rolex stepped up and showed the world how it’s done. They proved they are in the game to win. Power to Rolex for doing it so well and tastefully they can get away with it. No need to justify it, just sell the heck out of it. And they are confident enough to not care if everyone wants one. They are still the most well known luxury watch brand, right? Bam. A cheap trick from Rolex. Easy to swap out one alloy for another. Let’s hope for something more exciting like a new Explorer II next year. I’m not a two tone or gold lover but this watch is really good looking.